For many who don’t know, Tim Donaghy is a disgraced former NBA referee who actually served prison time because he was found to be betting on NBA games. 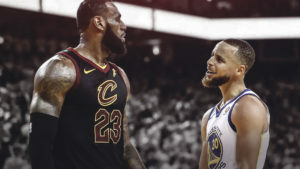 He was still a well-respected ref before the news come out, and as one who knows the NBA inside and out, he thinks the refs blew the end of Game 1 of the NBA Finals between the Cleveland Cavaliers and Golden State Warriors. Donaghy told TMZ that when two refs disagree on a call and they can’t come to a decision it’s supposed to be a jump ball and they aren’t supposed to go to the monitor. He is referring to the play where LeBron James took a charge on Kevin Durant with a little over 30 seconds remaining. The officials said they were going to review whether or not James was in the restricted circle, which he clearly wasn’t. When they went to the review, they decided that James was still moving and overturned the charge, calling it a block instead and awarding Durant two free throws. Donaghy also went on to say that the NBA blew the game because they set a rule aside. There have been times that the NBA has actually gone back and replayed the end of games. In 2007 a game between the Miami Heat and the Atlanta Hawks was forced to replay the final minute over four months later, because of a wrong call that changed the game. Donaghy thinks that is what the NBA needs to do here. They need to go back and replay the end of the game to make sure that the right outcome comes away from it.